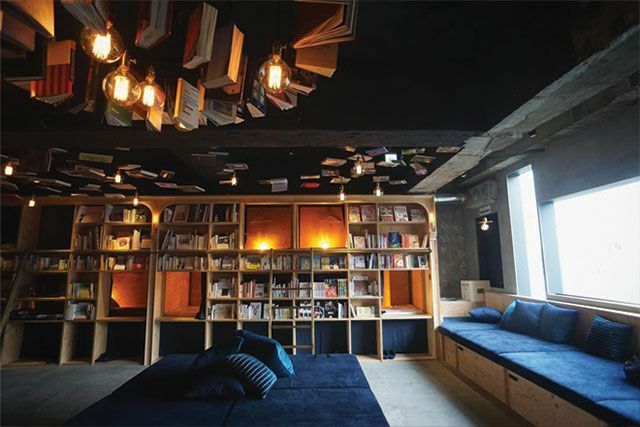 Much to the Internet's delight, Book and Bed Tokyo opened last year, and it was an instant hit—so much so that they decided to open their second hostel in Kyoto! There are two types of "beds." One is called "bookshelf" and the other is called "bunk." The standard rate is ¥4,800 (roughly P2,150); but smaller or "compact" beds are priced at ¥3,800 (around P1,700). If you don't feel like sleeping over, you can also visit for a fee of ¥500 (P225) per hour or ¥1,500 (P675) for "free time." You'll have 5,000 books to peruse!